To support a wonderful cause, don’t miss the CANSA Shavathon at Montecasino. Show your support by either spraying, shaving or donating to this wonderful initiative. Montecasino, Montecasino Boulevard, corner William Nicol and Witkoppen, Fourways, Johannesburg. Montecasino is spreading the colour of hope over a three-day family-friendly CANSA Shavathon this March, giving all visitors the chance to support cancer survivors by spraying or shaving their heads. The CANSA Shavathon has become renowned across the country as an event that delivers fun, comaraderie, joy, and most importantly, hope. This year marks the 16th national Shavathon and the theme is #ColouringHope. 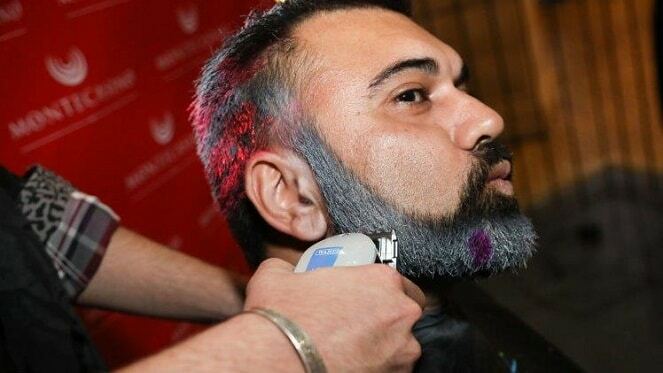 The aim is to shave or spray as many people over the weekend as possible, to raise much-needed funds for CANSA’s unique, integrated service and holistic care and support for those affected by cancer. The spirit of ‘being a part of something special’ will permeate throughout the precinct over the weekend, with local celebrities and influencers adding their support to the cause and bringing their shaving and spraying skills to the Shavathon station. Friday, 08 March 2019 to Sunday, 10 March 2019 from 10:00 – 17:00. The Promotional Stage at Montecasino, Montecasino Boulevard, corner William Nicol and Witkoppen, Fourways, Johannesburg. To partake, all you have to do is donate R50 per adult and R25 per child under the age of 12. For more information about this event, visit www.tsogosun.com.